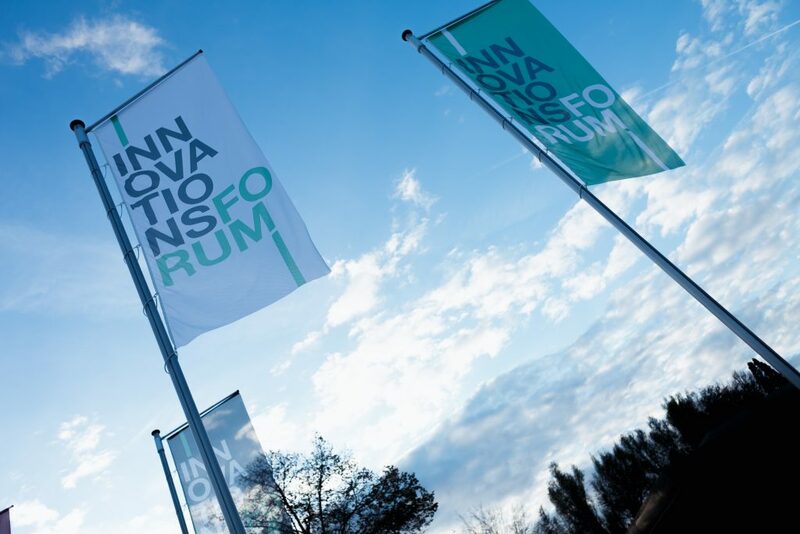 During their 8th Innovation Forum on 8 October 2018 in Kornwestheim, Actano and IPO.Plan offered over a hundred planners, IT managers and decision-makers from the industry an interesting platform of workshops, discussions, training courses and round-table discussions. In the immediate realm of leading automobile manufacturers, everything revolved around future forms of cooperation for large and small-scale industrial projects. The aim here must be to create structures where employees aren’t only available and focused, but also have a basis on which information for logistical and project planning is available at all times. During the welcoming speech by CEO Holger Lörz and Matthias Kellermann, visitors experienced the inspiring interaction between Actano GmbH and IPO.Plan GmbH within Actano Holding. While IPO.Plan stands for leading software solutions for factory and logistics planning, Actano develops applications for project planning on a continuous platform and introduces new forms and possibilities of cooperation from this perspective. This leads to a noticeable cooperative atmosphere – but also to common products like the software RxD for project management with integrated 3D visualization or a virtual RxD collaboration room – the update of the video conference with 3D support. Dr. Peter Derendinger, Chairman of the Board of Directors of Actano Holding AG, drew attention to two other important innovations in a brief summary of the past year: “We would never have dreamed that today we could present solutions for planning flexible manufacturing cells and for project communication with Workstreams.” The enormous efficiency potential that these developments from Actano and IPO.Plan open up was made clear in lectures and workshops. 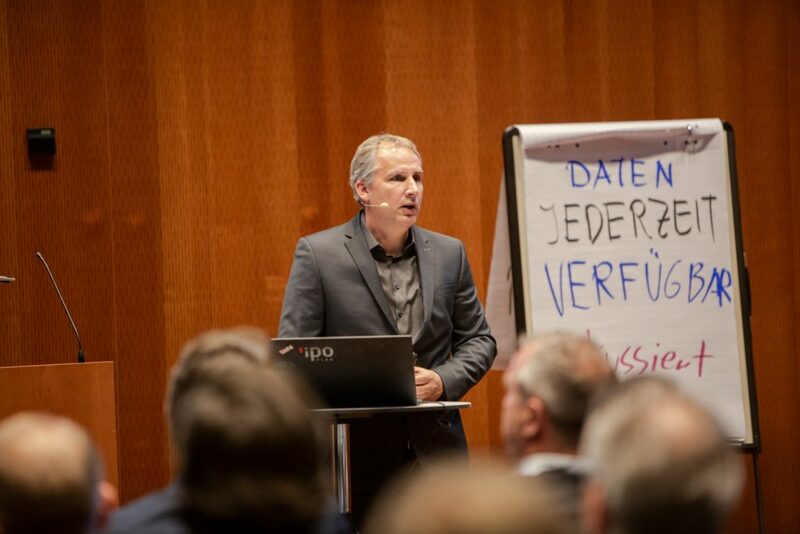 Holger Lörz, CEO of Actano, in his introductory speech started from the changes in the working world. In multitasking, employees have to work on several projects at the same time. The complexity of projects in an industrial environment is constantly increasing. Over the past five years, the cost of project organization has therefore risen by 50 percent. “Successful work on complex projects, such as industry 4.0, therefore also requires project planning 4.0,” he summarized the trend. “To do this, all the necessary data must be available at all times in one focused location,” he demanded. “With a clear information situation, pending decisions concerning time, quality and budget can be made quickly and reliably,” says Holger Lörz. Project work on a common database, however, requires a new project culture: “We want to shape the future with open and honest projects,” emphasizes the project work expert, “with the willingness to do so, efficiency and target reliability can be significantly improved”. The planning of a new assembly line for the electric sports cars of the Porsche Taycan model series that rolled off the production line in 2019 was also about efficiency. This was reported by Arne Reiß, head of the Process/Engineering sub-project at Porsche. The pilot project with the IPO.Log software for planning material placement in the confined space of the Zuffenhausen plant confirmed the advantages of the new CAD layout planning options. The 3D visualization of interfering contours enabled realistic surface planning. Numerous evaluation options for worker routes or plant utilization in IPO.Log considerably improved the planning quality. In the future, automobile manufacturers will also be able to further improve project-oriented cooperation in product development. 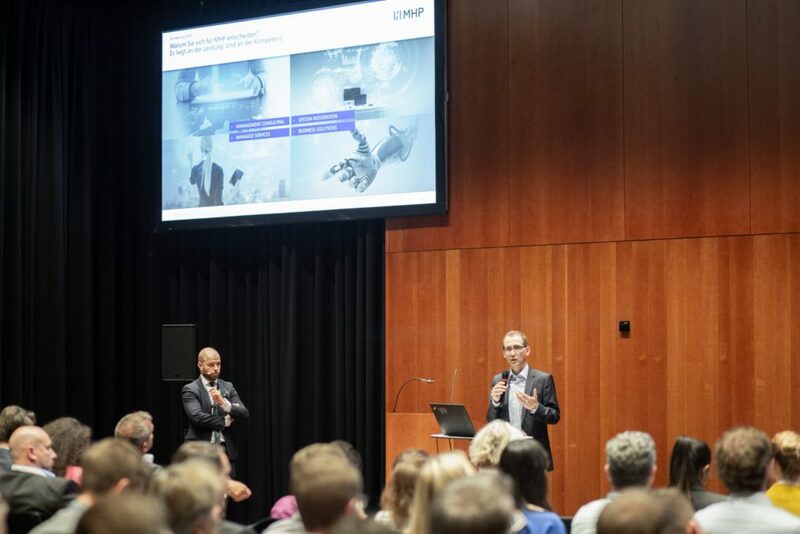 This was reported by Dr. Markus Tittelbach, Associated Partner of the consulting company MHP, and his colleague Martin Kasperek: “On Actano’s automotive project platform we will provide a complete product development platform (PEP), which will also contain apps for risk and maturity level management”. Actano will provide the platform technology, as well as apps Scheduler, Resources and Workstreams. With these tools for modern and efficient project management, OEMs are coping with the increasing complexity and shifting of services to system suppliers. With excellent project management, they can best meet their overall responsibility to the customer! Flexible cell production instead of an assembly line? As mentioned in the beginning, IPO.Log now also simulates the complex material flows of flexible cell production. As Dr. Christoph Sieben of the Boston Consulting Group explained, this alternative to line production of vehicles reveals itself to be especially advantageous in model variance with large differences in individual assembly times. The investigation was carried out with IPO.Plan as simulation partner: “The planning of a flexible assembly requires intelligent planning tools, since the complexity increases clearly. The simulation with real data resulted in significant efficiency advantages for the flexible cell, which go hand in hand with increased “work in progress”. The BCG study is available online. The participants reacted very positively to the diverse offerings of the event and used the spacious room to exchange experiences and discuss ideas, as well as parktake in two blocks with three workshops each. “At the Innovation Forum, I found the Boston Consulting Group presentation on Flexible Cell Production fascinating. 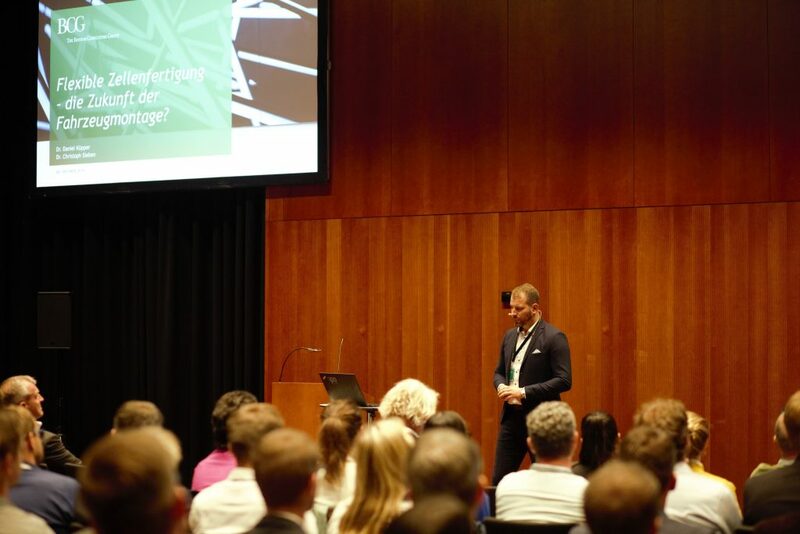 I received important impressions of my work,” said Michael Pfleghar, Team Leader Logistics Planning at MR PLAN Group, summing up his impressions.